Monsters are supposed to be scary, but these monster donuts make me smile! They're just so darn funny! 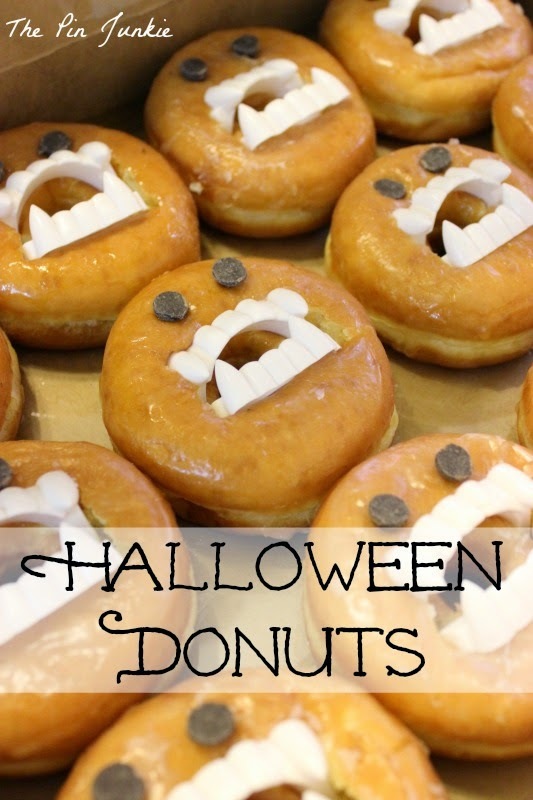 Monster donuts are the perfect thing to take to a Halloween party, especially if you don't have a lot of time. 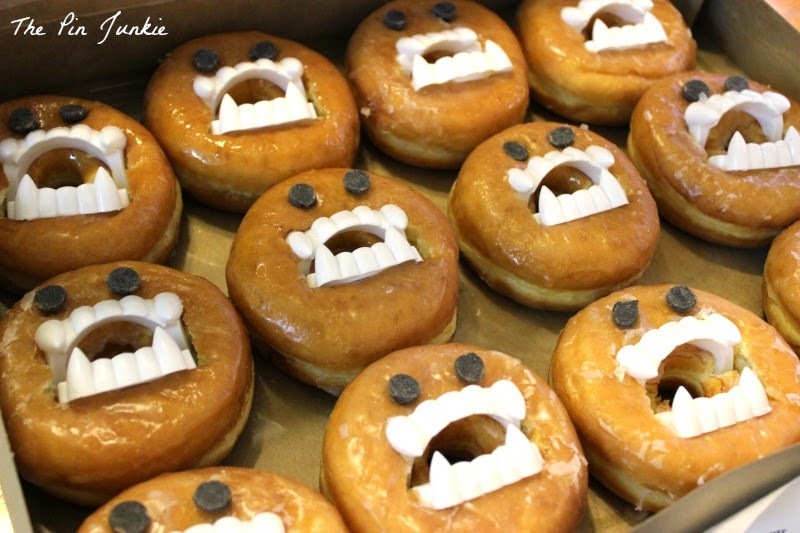 Just buy a box of store bought donuts, stick some plastic vampire teeth in the center of each one, and add two chocolate chips for the eyes. Done. Seriously, who could resist these cute little guys? Inspired by this pin for monster donuts. Haha!! These are so freaking cute!!!! Ha! How cute!!!! What a creative Halloween treat!!! Love it!!! These are adorable! What a great idea. I may do this for my son's class. They get a yummy donut and a fun toy to keep! Thanks for sharing :). Kids would love these (and easy for moms to make too!) Hope you have a fun Halloween! How fun! I was cracking up when I saw this photo. My kids would love this. Thanks for sharing. I have loved these since I have seen them and I have wanted to do them! My kids would love it! Thanks for linking up to Show Me Saturday! These are so dang cute! I can't wait to do this and bring them to work. Hilarious!!!! Mr. Pin Junkie took them to work and they were a hit! Haha, these are so cute!! My nephews would absolutely love them! Way too cute! I'm going to make these for my son's Halloween class party on Friday.I was so excited about this that I even called Dollar Tree to make sure they had the teeth! Thanks!! I love these! Actually, I loved them so much that I featured them on my blog today! I used one photo and linked back to your post--I hope that's OK. So creative and cute! I would love if you would share these at Celebrate It! It's our blog party where we celebrate the everyday things that we do! How could you not smile (or even laugh) when you see these? Love them!! Thanks for sharing with SYC. These are SO cute! They make me laugh. Thanks for linking up to Show Me Saturday!